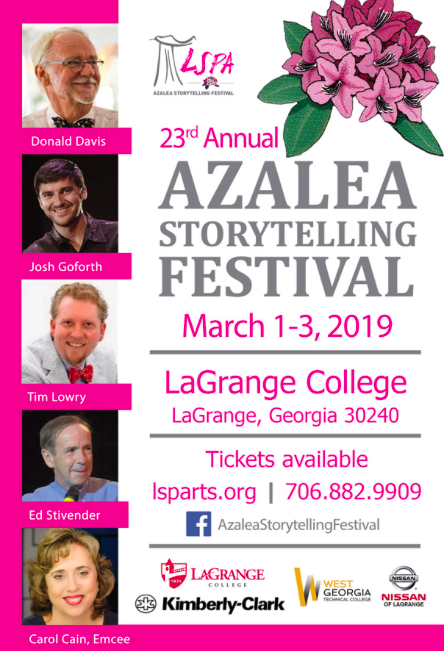 The 23rd Azalea Storytelling Festival will take place March 1-3, 2019 at LaGrange College’s Callaway Auditorium. This beloved, family-friendly event promotes the art of storytelling by bringing nationally recognized artists together for a weekend full of storytelling concerts. This year’s featured performers include Donald Davis, Josh Goforth, Tim Lowry, Ed Stivender, and Carol Cain as Emcee. The Azalea Storytelling Festival has been recognized as one of the oldest such festivals in the state of Georgia. Additionally, it has been recognized by the Southeast Tourism Society as one of the Top 20 Events in the 12 Southeastern states. The National Storytelling Association bestowed on the Azalea Storytelling Festival the Association’s Leadership Award. Furthermore, the Azalea Storytelling Festival was nominated by the Georgia Department of Economic Development to the American Bus Association as one of the 2012 Top 100 Events in North America. In 2013, the founders of the Azalea Storytelling Festival received the LaGrange Troup County Bureau of Tourism Visionary Award. 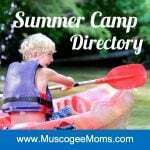 Click here for weekend schedule of events.